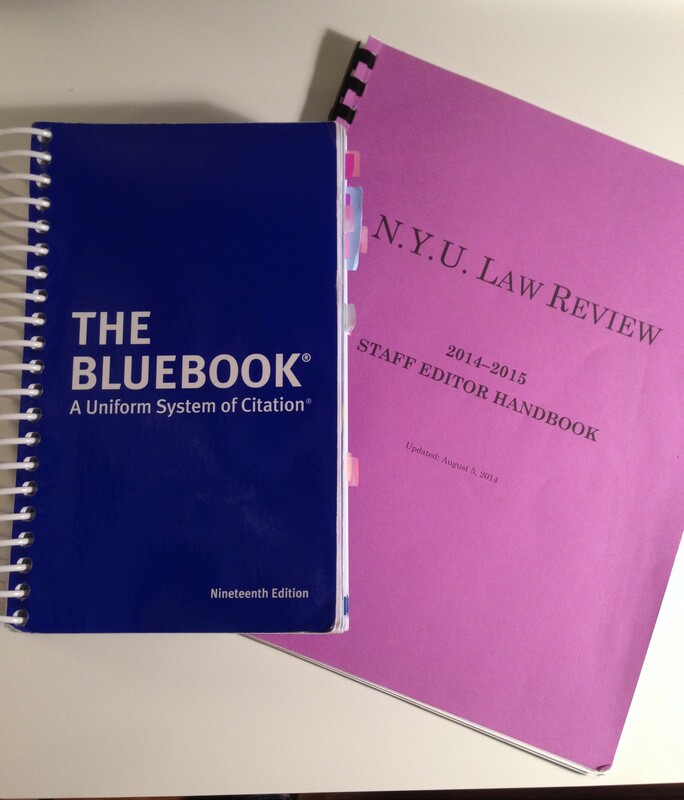 Before starting law school, many students don’t even know what a “law journal” is. But they quickly find out. Although in recent years legal journals have been criticized for their lack of practical applicability, it remains a well-known fact by the end of 1L year that nearly everyone will compete in their law school’s “write-on” competition. Rather than focusing on the before (another blogger described the write-on competition in more detail in a previous post), I’d like to shed some light on what happens after you become a Law Review member. 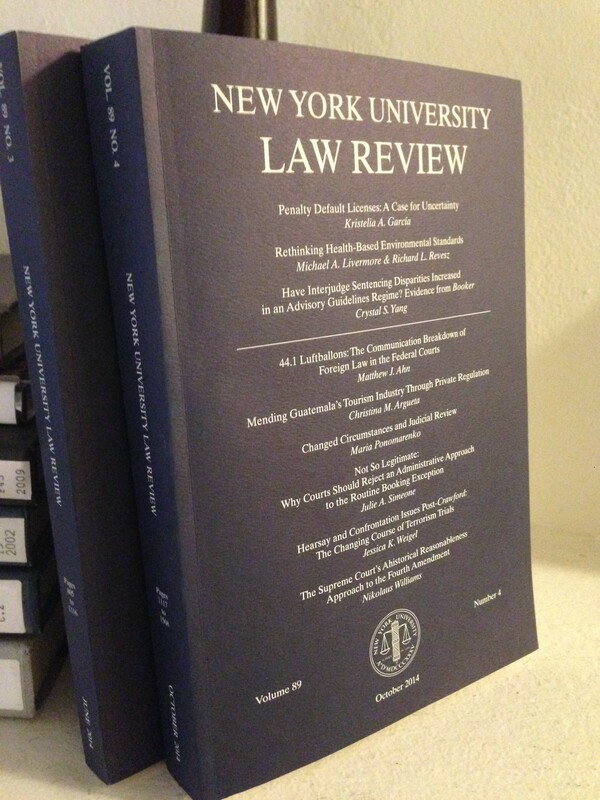 I should also say that most of what goes on behind the scenes with the New York University Law Review almost certainly applies to other law journals as well, both at NYU and other law schools. I’ve compiled a brief list highlighting both “the work” and “the perks” of Law Review membership. The Basics: As one of the Law Review’s 50 staff editors (all 2L members are given the same title), I have the primary responsibilities of attending regular office hours and completing five more substantial, sporadic assignments known as Citation and Substance Checks, or a “C&S.” Get familiar with The Bluebook; it will soon be one of your closest allies. Office Hours: Each staff editor chooses four 90-minute time slots to complete his or her office hours each week. While that adds up to a grand time commitment total of six hours per week, the assignments rarely require the full hour and a half allotted. Also, the flexibility to choose different days for different time slots makes it easy to work the hours into your schedule: staff editors are free to spread their hours over four days, or to complete them all back-to-back on one day. Citations & Substance: Each C&S gives staff editors the opportunity for hands-on, in-depth work with a large section of an article or note that is winding its way through the Review’s lengthy editing process. These assignments require a significant amount of time, and I’ve found that it’s important to catch up on classwork before the C&S begins so you have adequate time to devote to it. And this aspect might not be glamorous enough to qualify as a “perk,” but C&S assignments may lead to an adventure; the two that I’ve completed so far have taken me to the New York Public Library, the Fordham Law Library, and the depths of the NYU Law Library, where I taught myself how to use a microfilm machine in the process of digging up an Alabama Supreme Court case from the 1800s! Practical Skills: I have to disagree with anyone who argues that law journals don’t provide students with “real-life” skills. On the contrary, I’m surprised by how much I’ve learned in just one semester on the Law Review. My editing and writing skills have improved from proofreading and carefully editing legal scholarship, and I can now navigate even the most confusing sections of the library! Tech and Social Media Experience: By now you might imagine Law Review as a bunch of millennial librarian types poring through old books, but wait! There’s more! The Law Review has been steadily expanding its online presence, culminating this semester with the publication of the journal’s first online symposium, Money in Politics 2030: Toward a New Jurisprudence. This symposium, focusing on campaign finance reform, was a collaborative effort between the Brennan Center for Justice and the NYU Law Review. 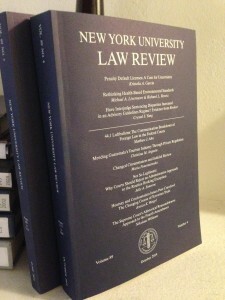 Due in large part to the hard work and enthusiasm of one of the journal’s managing editors, Adrienne Lee Benson, the Law Review also has a strong social media presence, including an active Facebook page and Twitter account (which was named “One of the Sixteen Law Reviews You Should Follow on Twitter” in May). 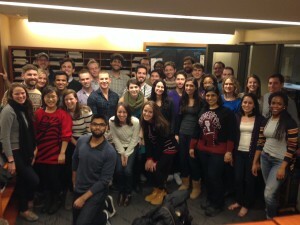 As Adrienne, who currently operates all of the Review’s social media, recently explained, “Effective use of social media enables the Law Review to promote our scholarship, engage with scholars and public intellectuals, and build a stronger journal community with current members and alumni.” As 3L members of the Law Review, students have the opportunity to take on a more specialized role within the journal, and there will certainly be room for those who are interested in online work! Social media is an important part of the journal, and it can also be an exciting job. “It’s great for us, and it’s great publicity for our authors and their work. This entry was written by Jessica Wilkins '16 and posted on November 26, 2014. Jessica is a 3L transfer student who was born and raised in Pensacola, Florida. After completing her BA in English in the summer of 2012, she lived in Valencia, Spain, for two months and then returned home to begin law school. She completed her 1L year at Florida International University in the lovely city of Miami. When she's not law-schooling, Jessica loves to run, find new restaurants, and explore the city. She's the Senior Notes Editor on the NYU Law Review, and decided to contribute to the NYU blog because she still hasn't managed to satiate her love of writing.